Like life, sometimes antitrust conspiracies are complicated. Not everything always fits into a neat little package. An articulate soundbite or an attractive infograph isn’t necessarily enough to explain the reality of what is going on. The paradigm example of an antitrust conspiracy is the smoke-filled room of competitors with their evil laughs deciding what prices their customers are going to pay. This is a horizontal conspiracy and is a per se violation of the antitrust laws. Another, less dramatic, part of the real estate of antitrust law involves manufacturers, distributors, and retailers and the prices they set and the deals they make. This usually relates to vertical agreements and typically invites the more-detailed rule-of-reason analysis by courts. One example of this type of an agreement is a resale-price-maintenance agreement. But sometimes a conspiracy will include a mixture of parties at different levels of the distribution chain. In other words, the overall agreement or conspiracy may include both horizontal (competitor) relationships and vertical relationships. In some circumstances, everyone in the conspiracy—even those that are not conspiring with any competitors—could be liable for a per se antitrust violation. As the Ninth Circuit recently explained in In re Musical Instruments and Equipment Antitrust Violation, “One conspiracy can involve both direct competitors and actors up and down the supply chain, and hence consist of both horizontal and vertical agreements.” (1192). One such hybrid form of conspiracy (there are others) is sometimes called a “hub-and-spoke” conspiracy. In a hub-and-spoke conspiracy, a hub (which is often a dominant retailer or purchaser) will have identical or similar agreements with several spokes, which are often manufacturers or suppliers. By itself, this is merely a series of vertical agreements, which would be subject to the rule of reason. But when each of the manufacturers agree among each other to reach the challenged agreements with the hub (the retailer), the several sets of vertical agreements may descend into a single per se antitrust violation. To complete the hub-and-spoke analogy, the retailer is the hub, the manufacturers are the spokes and the agreement among the manufacturers is the wheel that forms around the spokes. In many instances, the impetus of a hub-and-spoke antitrust conspiracy is a powerful retailer that wants to knock out other retail competition. In the internet age, you might see this with a strong brick-and-mortar retailer that wants to take a hit at e-commerce competitors (I receive many such calls about this scenario). The powerful retailer knows that the several manufacturers need the volume the retailer can deliver, so it has some market power over these retailers. With market power—which translates to negotiating power—you can ask for stuff. Usually what you ask for is better pricing, terms, etc. But a powerful retailer facing competitive threats might ask for an agreement that the manufacturers will do something that will make it more difficult for the retailer’s competitors to compete. For example, if price competition is a problem for the retailer (as is often the case when the competitive threats are internet retailers), the powerful retailer might insist that each of the manufacturers enact resale-price-maintenance (RPM) agreements. (This, in fact, was one of the worries of the US Supreme Court majority that declared that these type of agreements were no longer per se antitrust violations). These multiple RPM agreements would eliminate price competition, which is how internet retailers take business from more established brick-and-mortar retailers. Or the powerful retailer—the hub—might insist that the manufacturers force certain onerous terms or otherwise boycott (refuse to do business) with the other retailers (or a select group of other retailers). The problem for the hub (the powerful retailer) and the spokes (the manufacturers) is that it is much better for each of the manufacturers if all of the manufacturers reach the same deal with the retailer (the hub). That is because if one of the manufacturers depart from the deal, they can take market share from the others by utilizing the internet retailers (or other disfavored retailers). Or they can cut prices instead of utilizing an RPM. Knowing this, it is in the interests of the powerful retailer to make sure that each of the manufacturers (the spokes) know that each other manufacturer is also doing the deal. If each manufacturer will only do the deal if all the other manufacturers are in, then we might have a horizontal agreement among the manufacturers (effectively) that was facilitated by the powerful retailer. So the question in many of these cases is whether the manufacturers made a deal with each other (or, alternatively, made a deal with each other that was facilitated by the hub, the powerful retailer). This is a fact question, but it is easy to see how it can occur. The Apple e-books case is a great example of an alleged hub-and-spoke conspiracy. I highly recommend that you check out the symposium on the e-books case at TruthontheMarket.com. The US Supreme Court denied cert. in the Apple e-books case. The case that most people in the antitrust world raise when hub-and-spoke conspiracies come up is a Seventh Circuit decision from the summer of 2000 where the Federal Trade Commission went after the biggest toy retailer of them all: Toys “R” Us. The FTC issued an administrative ruling that Toys “R” Us violated Section 5 of the FTC Act (which in this case coincided with the Sherman Act) for facilitating a group boycott of manufacturers against threatening discount retailers like Costco. Toys “R” Us appealed to the Seventh Circuit. Circuit Judge Diane P. Wood, one of the most antitrust-savvy judges in the world, wrote the opinion affirming the decision (as supported by substantial evidence on the record) for a unanimous three-judge panel. 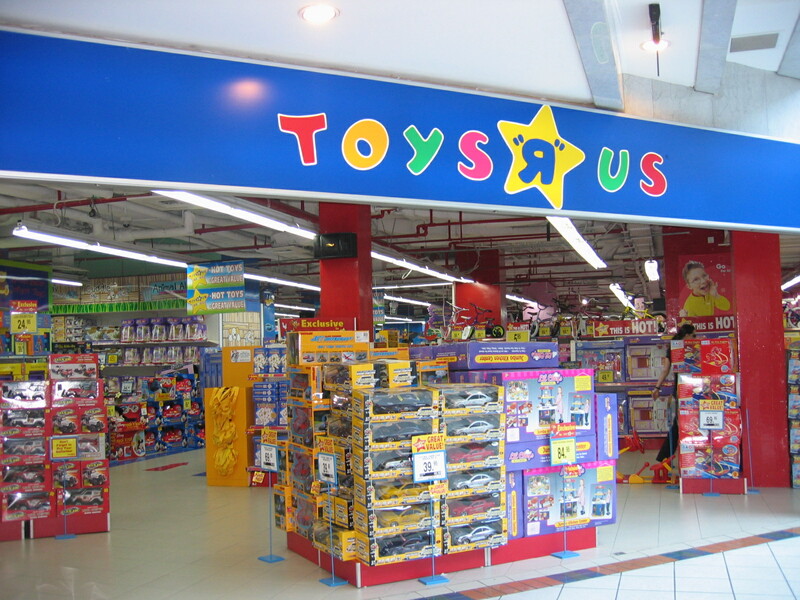 Toys “R” Us sold about twenty-percent of the toys in the United States and in some metropolitan areas, it sold up to almost half of the toys. As the Seventh Circuit repeated, it was a “critical outlet for toy manufacturers.” In other words, it was, to say the least, a powerful retailer. But it perceived a threat in Costco and other discount retailers that sold toys at substantially lower prices, and seemed to be doing well bringing in customers (Costco, for example, is an even bigger deal today, so maybe they were right to worry). So they created a policy that would limit the ability of toy manufacturers to offer these discount clubs certain toys, i.e. promoted product, etc. And, according to the evidence, Toys “R” Us went around to each of the toy manufacturers and insisted that they agree to do this. The problem was that each of the toy manufacturers were unwilling to give up the fast-growing discount club (Costco) business unless each of their manufacturer-competitors did so. Well, according to the Seventh Circuit, that’s what the evidence shows they did. Toys “R” Us facilitated a horizontal conspiracy among the toy manufacturers to boycott Costco and others. 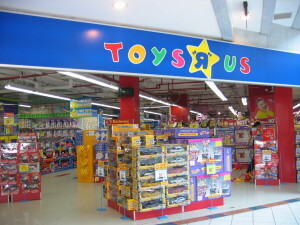 Even though Toys “R” Us did not enter an agreement with any of its competitors, it was still subject to a per se antitrust analysis because it facilitated a horizontal conspiracy among the toy manufacturers, such that the overall set of agreements because a hub-and-spoke antitrust conspiracy. If you do further reading on hub-and-spoke antitrust conspiracies, you might come across the US Supreme Court’s Interstate Circuit decision from 1939 (which the Seventh Circuit cited and discussed). In that case, a powerful movie exhibitor in a particular region wrote an identical letter to eight movie distributor companies, with each letter naming all eight as addressees. The exhibitor asked each distributor to comply with two demands that would make it more difficult for the exhibitor’s competitors to succeed. The Supreme Court affirmed the trial court’s inference from the letter that there was a “substantial unanimity of action” among the letter’s writer and its addressees. So there was, indeed, a hub-and-spoke antitrust conspiracy that ensnared all the participants, both horizontal and vertical. Update: Barak Orbach just published an excellent article on hub-and-spoke antitrust conspiracies in the April 2016 issue of Antitrust Source. His antitrust work is quite good, so I highly recommend you read the article.